Oil change for Vroom!, originally uploaded by ceonyc. 15,115 miles... Time for oil change #5. 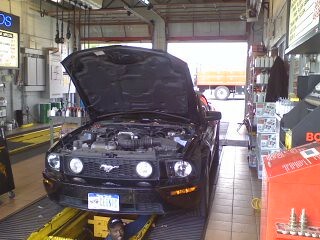 The guy says I need a power steering oil, too... How the heck do I know? This car eats various car liquids like there's no tomorrow.